Wow, stuck on the reels from 1979. Here is Mighty Fire before they recorded material for Elektra in 1982. Two brilliant tracks. A side is a lovely feel good modern dancer, worthy of any dancefloor called “Love” But wait until you flip the 45, for an amazing 2 step song that’s making waves with the jocks at the moment. And you can tell why, has all the right ingredients. Melton Boltons writing credentials go back as early as the 1970’s. Writing for Motown and penning songs for Marvin Gaye and the Four Tops amongst a host of others. He even recorded for Motown subsidiary Mowest under the group name of Nu Page. And his playing credentials on guitar are a who’s who of soul artists. A man of incredible talent. 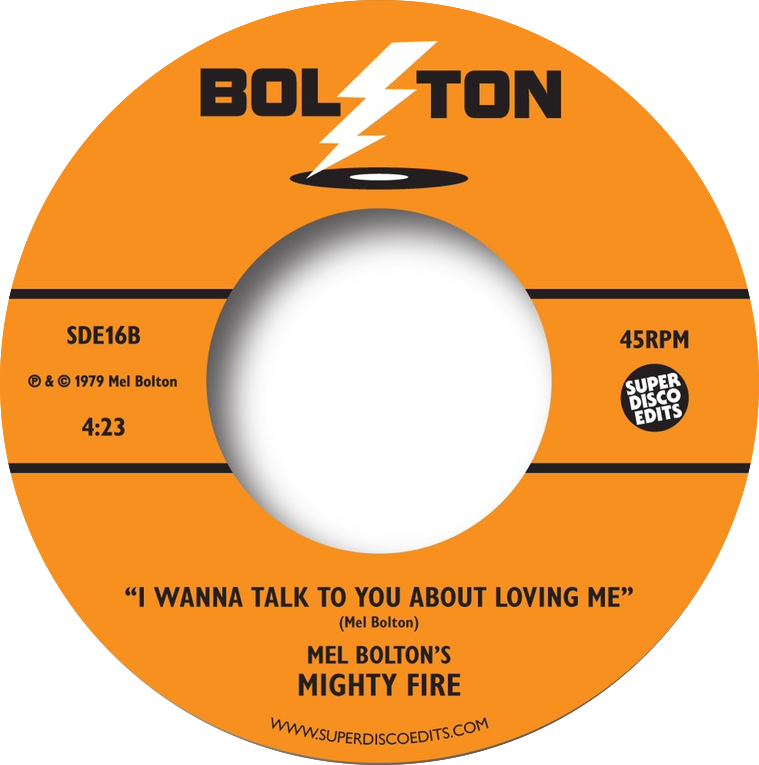 So now you can grab his work on these previously un-issued songs Coming out on the newly created label BOL-TON label.